Modern traditional styling plays well with the décor of your home in the Auberon Collection. Quatrefoil pattern is, along with distinct jointing, as a decorative statement with the black metal framing serving as an update to the traditional look. A metal frame trundle glides from beneath the main sleeping platform to provide additional sleep space. 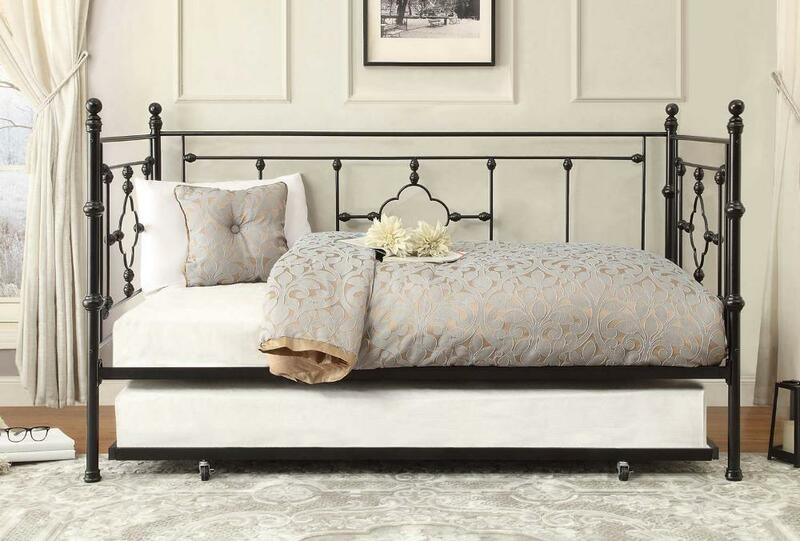 FEATURES: Black Finish ~ Traditional / Modern Style ~ Includes Trundle Unit ~ Quatrefoil Pattern Design Accent ~ Metal Day Bed.